Scientists have made significant progress in finding the cause of multiple sclerosis (MS), discovering the presence of a protein in brain tissue that may help lead to a treatment for the disease that affects 2.5 million people worldwide. 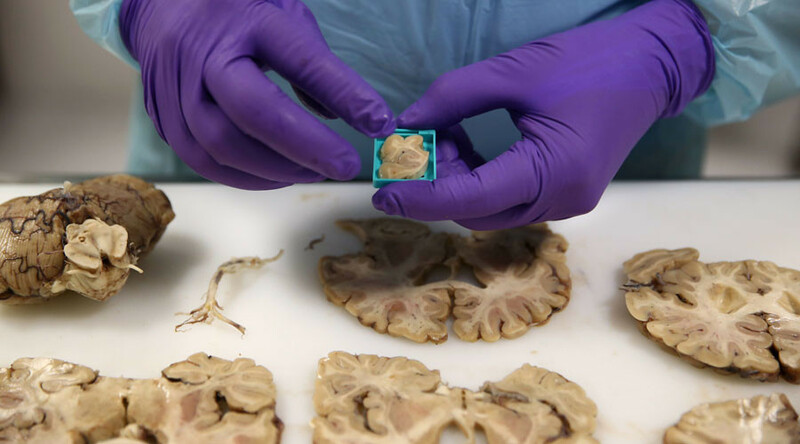 Researchers at the University of Exeter in the UK and the University of Alberta in Canada found large quantities of the protein Rab32 in brain tissue samples taken from people who had MS but was almost entirely absent in those without the condition. The protein can cause cells that store calcium to get too close to the mitochondria, an energy-producing membrane, causing it to misbehave, according to the research published in the Journal of Neuroinflammation. Scientists previously believed that the mitochondria played a role in MS but were unable to uncover why. The cause of the increase in Rab32 is still unknown, but researchers suspect a defect at the base of the cell could be responsible. “Our exciting new findings have uncovered a new avenue for researchers to explore. It is a critical step, and in time we hope it might lead to effective new treatments for MS,” Paul Eggleton from the University of Exeter Medical School said in a statement. MS has different levels of severity in sufferers, affecting mobility, speech, mental ability while causing pain and fatigue. The disease causes the body’s immune system to attack myelin, fatty sheaths that protect nerves in the brain and spinal cord, leading to brain damage, reduced blood supply and the formation of lesions. “No one knows for sure why people develop MS and we welcome any research that increases our understanding of how to stop it,” said David Schley from the UK’s MS Society.